We are back for our 8th season! We are happy to offer a new and improved CSA model this year and we would love for you to become a member. Please take the time to read through the information below and please contact us if you have any questions. Community Supported Agriculture (CSA) is about customers getting the freshest local produce available while using the power of their dollars to support a local food economy. 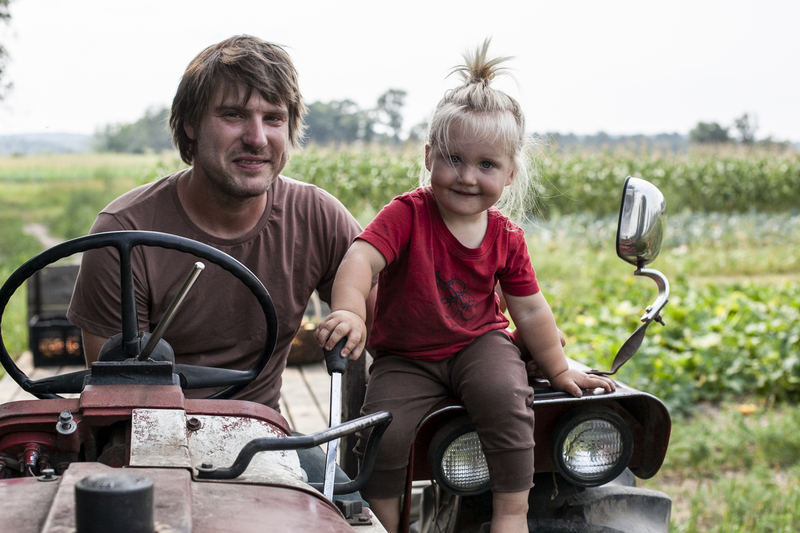 CSA brings farmers and families together around the production and consumption of the best quality local food. As a CSA member, you have the opportunity to know your farmer and the lush farmland that work to produce the food you share at your dinner tables. Whether visiting our farm or following us online you become part of this stronger food system. CSA exists, in part, in response to a broken food system that exploits people and the land to produce food of poor nutritional value. Hence CSA focuses on land stewardship and agricultural sustainability. By becoming a member of our CSA, you vote for all of these values. Purchasing a membership from the farm entitles you to share in the successes of production. Yet there is also a shared risk. Members always come first. And still the weather and pests of the season may not cooperate. Sharing in this risk is part of your pledge of support. We offer two box share options staring in mid-June and running through late September. New in 2019, we are offering Customized Shares to our members, through an online CSA management program we have paired with. This will allow you to rank each crop that we grow to your liking once you have signed up Based on your information and what we have available for the week, we will create a customized box for you that you will be able to view and change by “swapping out” certain items for others that are available. For example: Don’t like eggplant? You can give it a low score and never see an eggplant in your box. 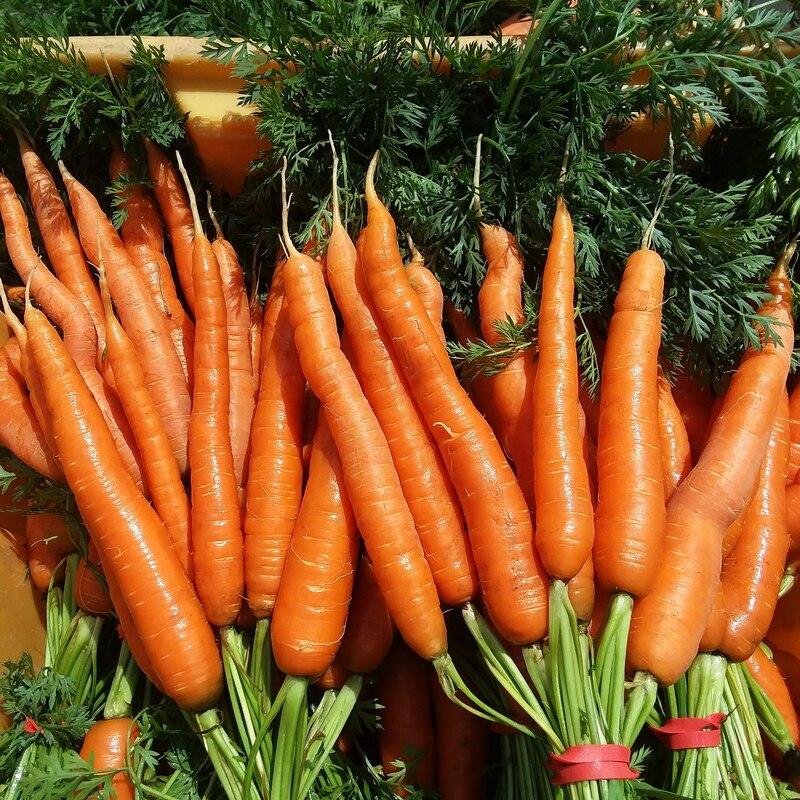 Love Carrots? You can swap more for a different crop you don’t want or also add more to your order. 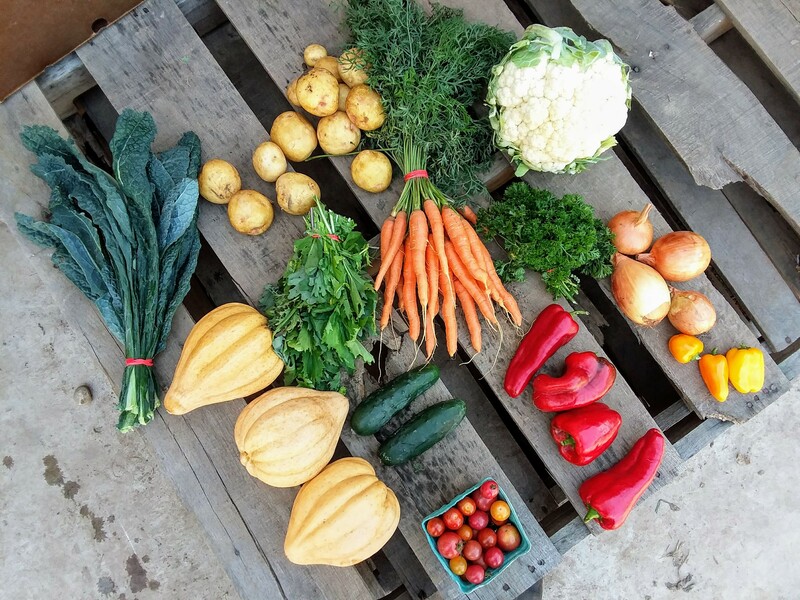 The CSA platform we are using is called Harvie and will allow all of our members to enjoy their CSA share more, reduce waste and have more options for add-ons, rescheduling shares, recipes and more. Sign up now! 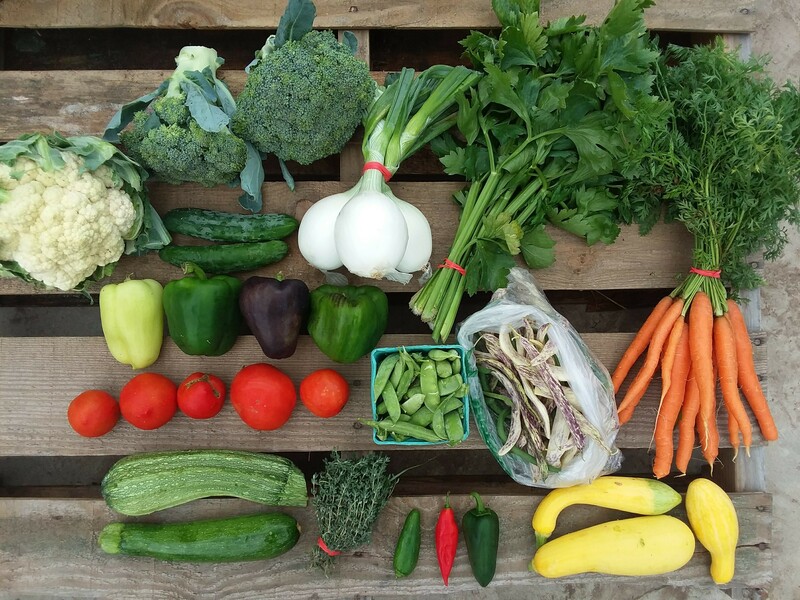 Want to order “extra” items from the farm? With just a few clicks of a button we’ll put those items in your box which means less trips to the grocery store and more time in your day! Tired of remembering to make payments or can’t pay in full? Choose the payment plan at check out and your card will be charged automatically each time your share is delivered. Vacation planned? Need to change your pick up location? No problem. You can easily reschedule your box or change pick up locations to accommodate your busy life, so no more missing out on those veggies you paid for. Harvie has many recipe suggestions, cooking tips, storage, and food prep resources so you won’t be scrambling to get dinner on the table. Have questions? We have solutions! Harvie is providing you with customer service folks who are on standby to help you with any questions you have. Our Full Share is delivered weekly for 16 weeks and feeds an average family of four or two veggie-lovers. You can expect 8-12 varieties of vegetables per box, depending on the season. Sharing a Full Share with another person or family is a popular option, but we ask that you arrange this with each other separately. Our Half Share is delivered every other week for a total of 8 weeks and feeds a family of 2 or one veggie-lover. We also offer a 2 and 4 week Fall share extension. You can sign up for this at anytime during the season, but you will get a discount if you sign up for it before the CSA Starts in June of 2019. Amery, Farm Table Restuarant/Amery Food Hub, 110 Keller Ave.
Mississippi Market Coop, 1500 W 7th St.
Stillwater, River Market Coop: 221 Main St N.